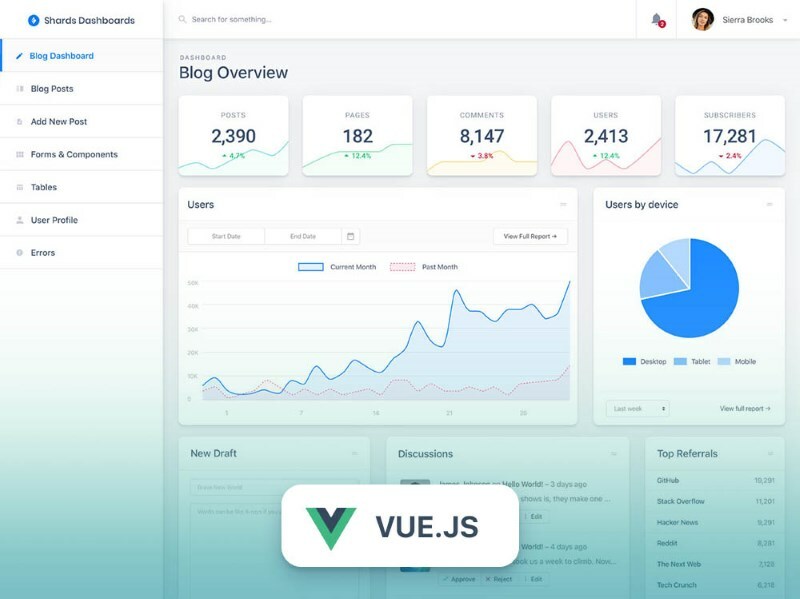 Sing App Vue.js Dashboard is a completely free and open-source admin dashboard template built with latest version of Vue JS and Bootstrap 4. It uses Vue, vue-router and bootstrap-vue under the hood and has 30 ready-to-use components and 10 example pages, plus authentication mechanism. 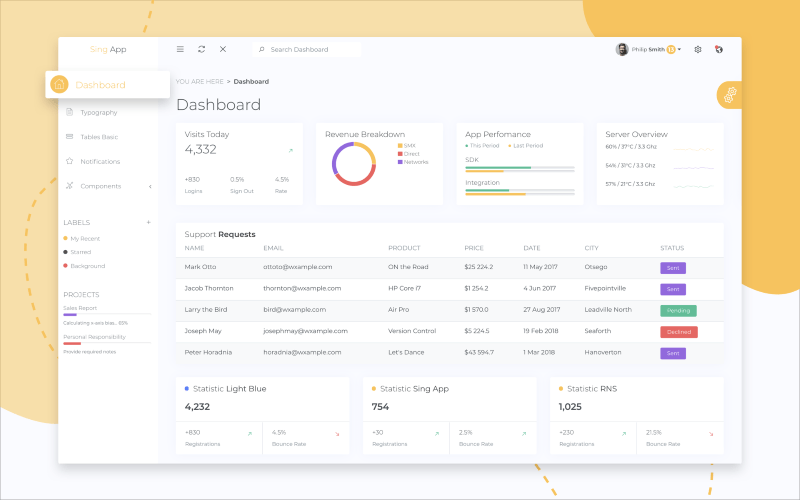 Sing App Vue.js Dashboard is a great start if you are building SASS, E-Commerce, CMS or CRM platforms. All essential components are ready to use and well-documented. There is also a full version with more features available. 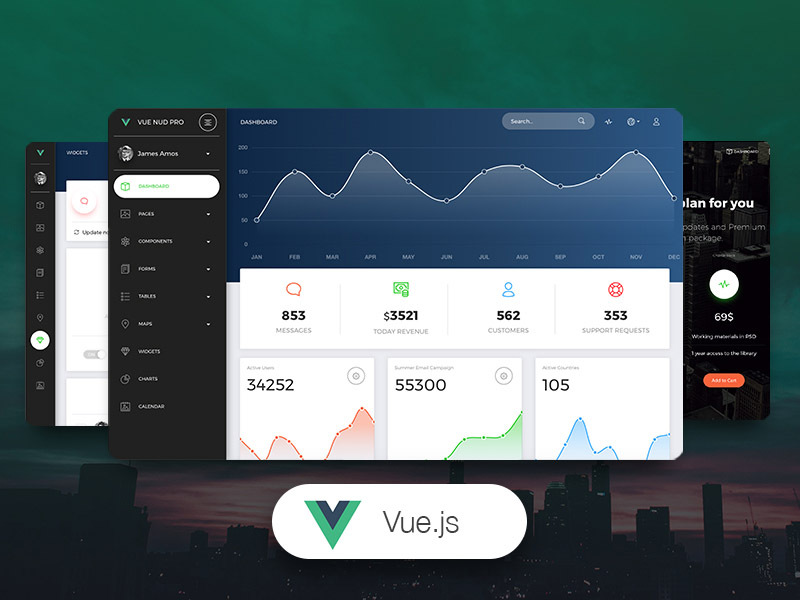 Vue Paper Dashboard is a beautiful admin dashboard built with Bootstrap and Vue.js. 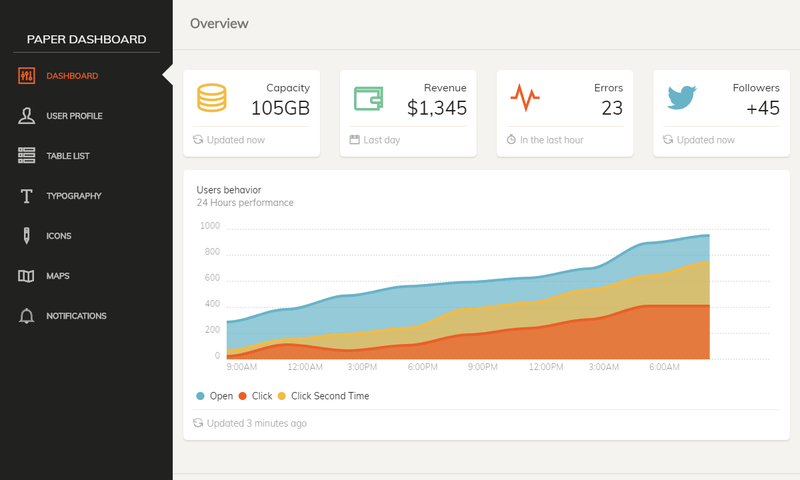 It is a Vue ported version of the original Paper Dashboard admin template by Creative Tim. Using this Vue.js dashboard is pretty simple and requires basic knowledge of Vue and Vue-Router. 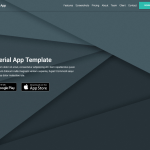 This free template offers 16 in-built components and 4 example pages. If you want more components, plugins and example pages with the template then check out the pro version below. Shards is a a free Vue admin dashboard template pack featuring a modern design system and lots of custom templates and components. Shards Dashboard Lite Vue is built from scratch while following modern development best practices. 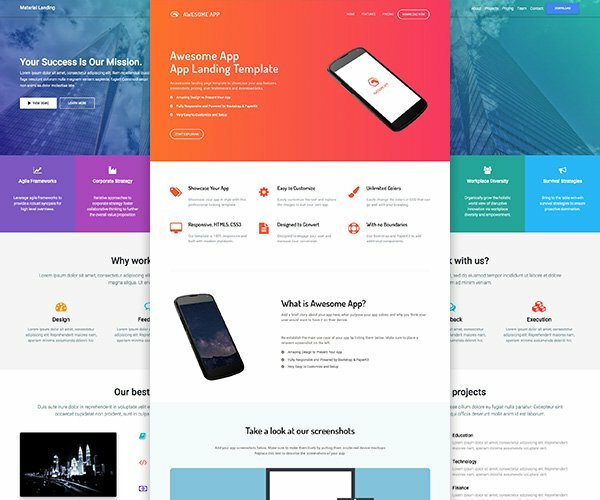 The template comes packed with ready-made designs and dozens of custom components that you can use to kick-start your next app. Included with the download is both SCSS and Sketch files so that you can tailor the admin dashboard template pack to your own needs. 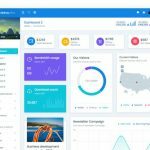 MDB Vue Admin is a free, responsive Admin Dashboard template containing different styles of dashboards, data presentations, and numerous insightful components. 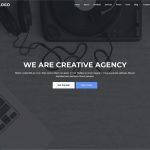 Built with the newest Bootstrap 4, VueJS and Material Design this template is MIT licensed and is completely free for personal as well as commercial use. 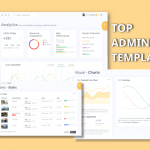 The PRO version of Vue Paper Dashboard has 160 handcrafted components suitable for admin dashboards such as accordion, vertical and horizontal tabs, alerts, notifications etc. You also get 25 example pages with the template which includes: user page, timeline page, login and registration page. You also get access to full documentation and source files with this PRO version. 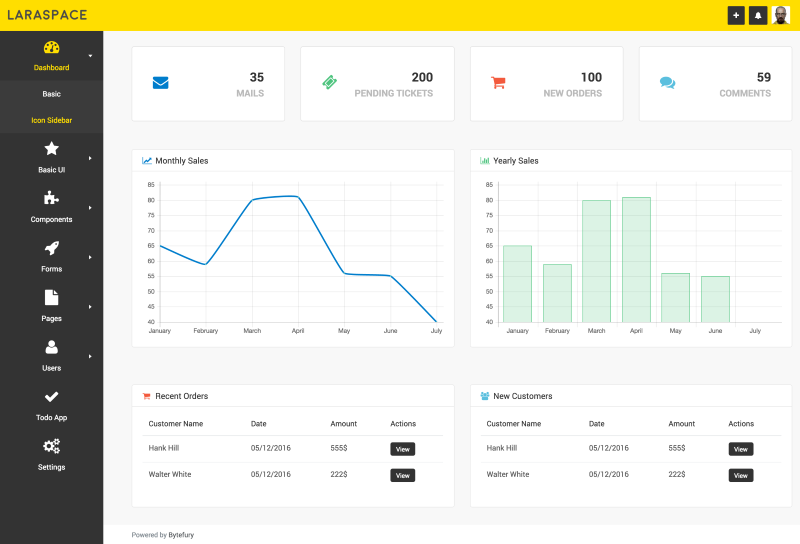 Clear admin template is a premium Bootstrap based admin template built with Vue.js & Laravel Spark. It includes over 100 components including drag & drop form builders, charts, sliders, data tables, image uploading & resizing and advanced modals. Other features such as login, registration, user management, and user groups are already included and ready to use with the template. 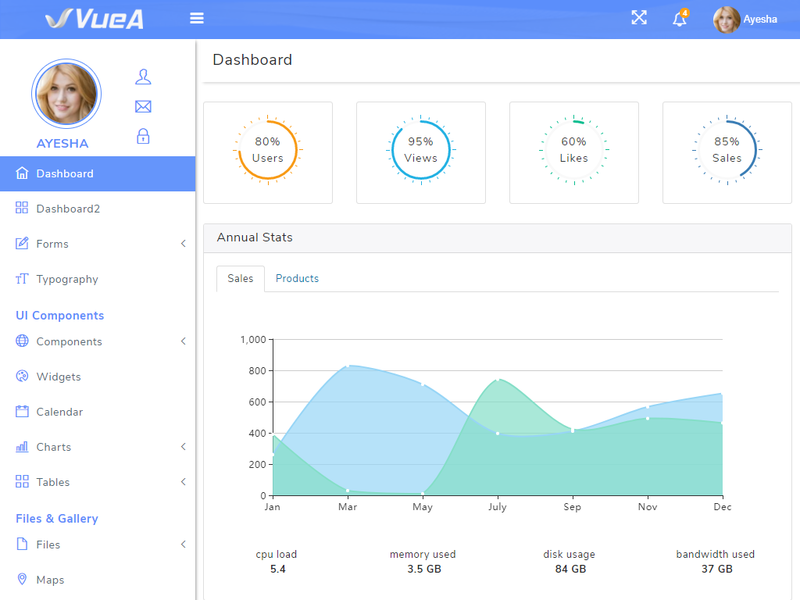 Vue Admin is an MIT licensed open source and free admin template framework built with VueJS 2.0 and Bulma. 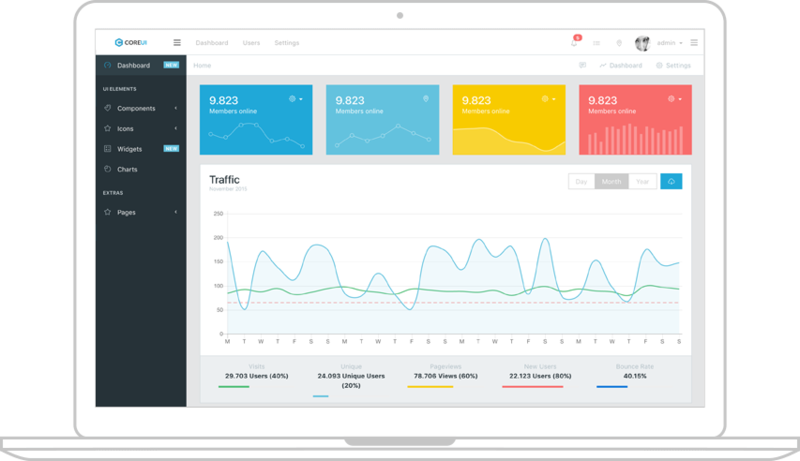 This admin panel framework offers responsive and flexible box layout, a variety of charts and multiple pre-built components such as progress bar, modal, date-picker, tabs, slider etc. 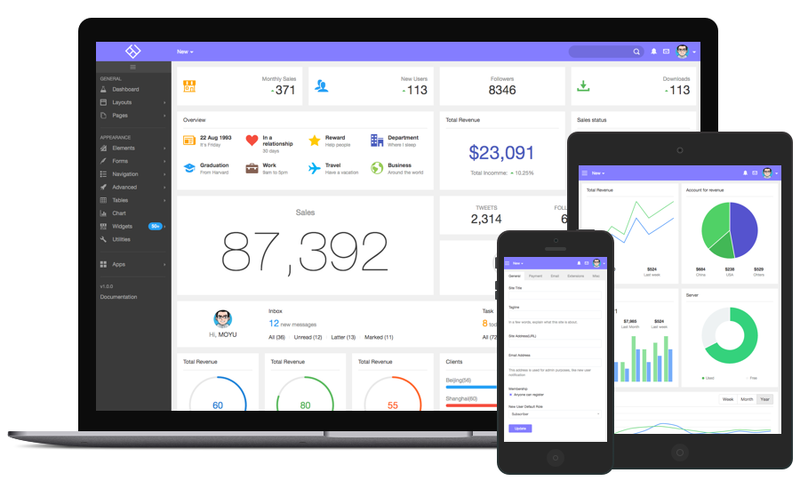 CoPilot is a fully responsive admin template built with Vue.js and Bootstrap 3. It is based on AdminLTE template and is highly customizable as well as easy to use. It fits many screen resolutions from small mobile devices to large desktops. CoPilot is an open source project licensed under MIT and is offered for free. Laraspace is an admin starter template for Laravel PHP Framework and is built with Bootstrap 4 and VueJS. It includes all the necessary boilerplate for a dashboard web application. 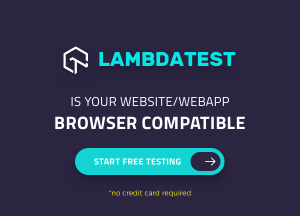 Laraspace includes multiple UI components and working admin auth, login and registration pages along with support for responsive layout, automatic error validations, Notifications API, Settings API and more. 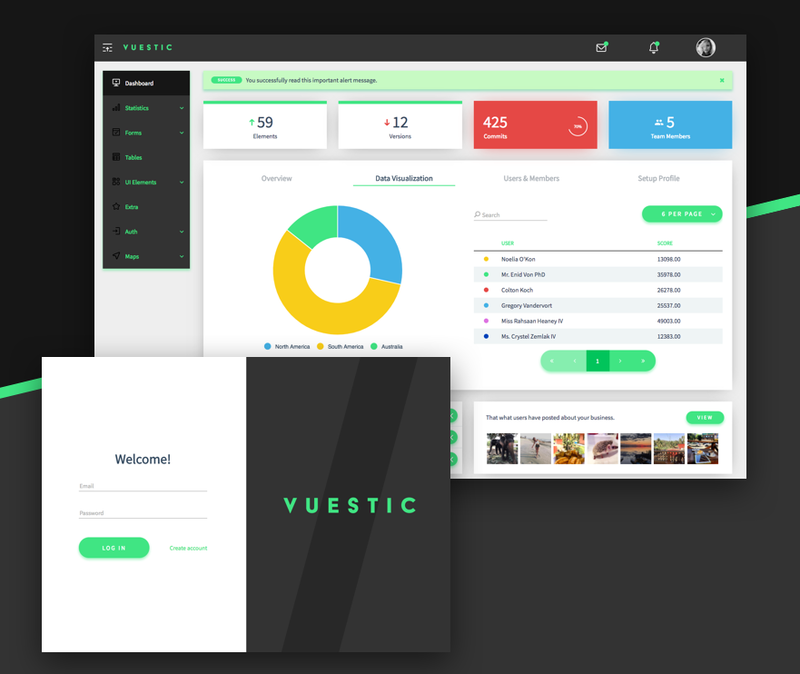 Vuestic admin dashboard is a responsive dashboard template built with Bootstrap 4 and Vue.js. 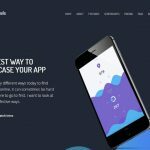 This beautifully designed admin template offers custom elements such as maps, chat, profile card, charts, progress bar etc. and pre-built pages for login and signup. The template is MIT licensed and open source on GitHub. 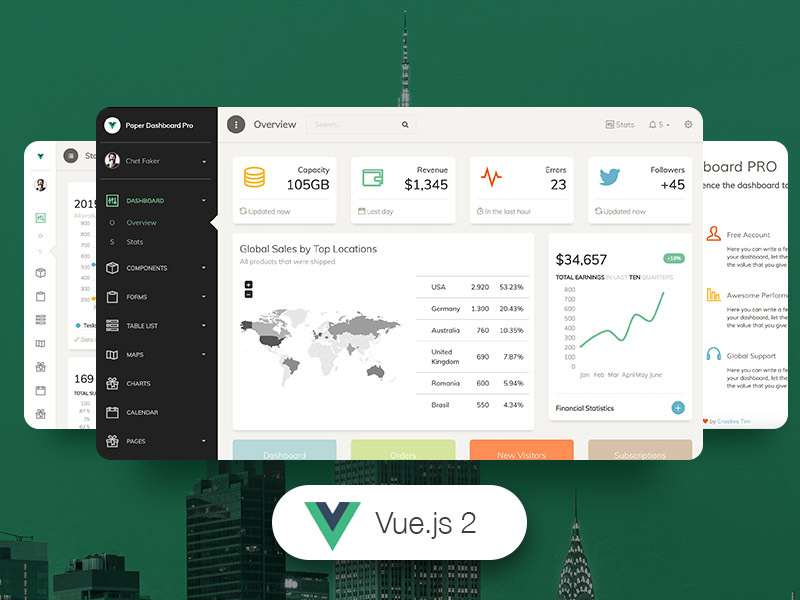 Cover is a premium admin dashboard UI kit based on Point.css and Vue.js. It offers over 200 UI components, 35+ widgets and 3 pre-built layouts for building modern web applications and web admin panels. 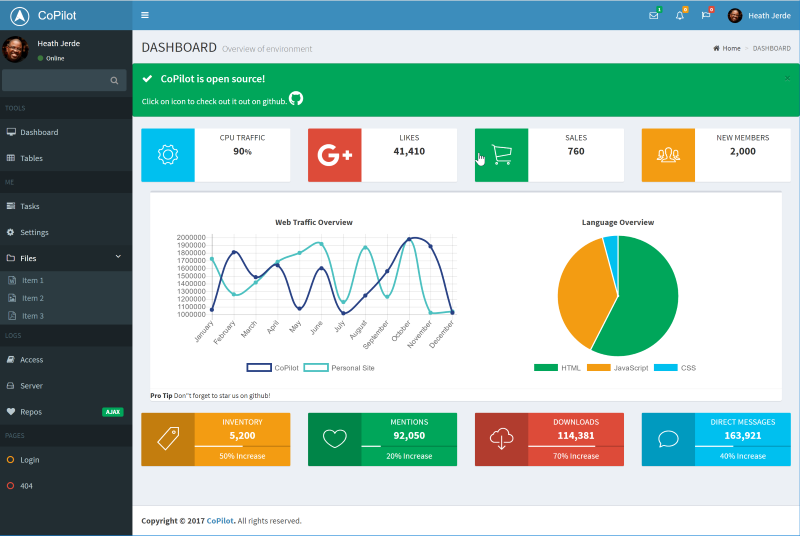 With its minimal and responsive design, modular code and integration with Gulp and Webpack for the build process, it is a suitable fit for developers looking for quality and multi-purpose dashboard UI kits. 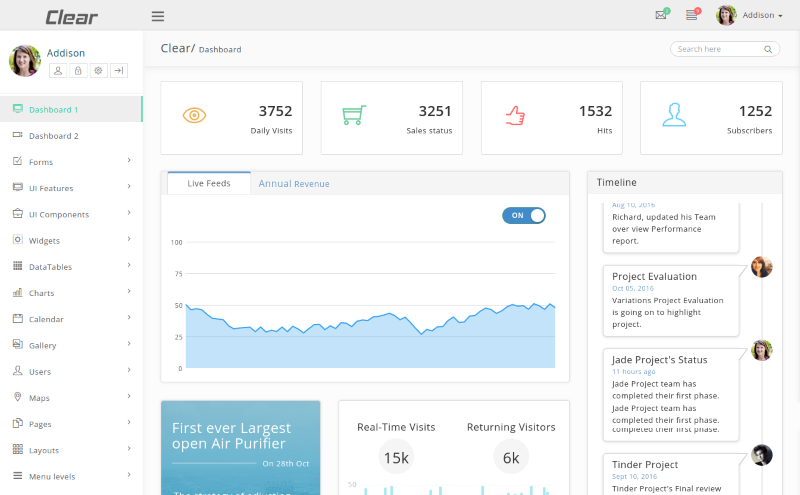 We also have collections of some of the best AngularJS admin templates as well as Bootstrap admin templates. You may also want to take a look at these Material Design admin templates if that suits your need. While Vue.js is relatively new, there has been significant growth in its adoption. Numerous Vue.js based UI frameworks are available if you are building a web app or mobile app. Lastly, the awesome-vue repository of GitHub contains an extensive list of resources related to Vue.js including real world projects and development tools. Checkout this template. 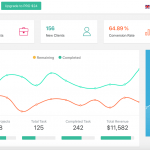 Another responsive admin dashboard template using vuejs & material design. You can view the demo & download it from here..